Ichiran Ramen, originally founded in Hakata Fukuoka, Japan as a ramen stall in 1960, is one of the best Tonkatsu Ramen shops in Japan. After being renamed from Futaba to Ichiran in 1966, the small ramen stall became a store in 1993 and expanded to different locations: USA, Hong Kong, and Taiwan. To learn more about their history, click here. Japan’s Ichiran Ramen made its way to Taiwan on June 15, 2017. Open 24 hours, this famous Tonkatsu Ramen shop ensures the best quality in taste and experience. I went on a Sunday afternoon, around 3PM, and there was already a huge crowd waiting outside the restaurant. Even though I waited a total of 2.5 hours outside, there was another line inside. You’ll feel like you are queuing up for an amusement park ride. They called 10 numbers at a time to start lining up by the entrance. As guest number 673, I got called to get in line with the other guest numbers 670-680. A staff member will hand you a menu to fill out your order beforehand. Number cards change once every 10 people called. Inside the restaurant, there are digital boards that show occupied and vacant seats. There are two lines split in half, one for rows 1-3 and one for rows 4-6. I ended up sitting in the first row on seat number 1, because I’m number one. Kidding. Each person sits in his or her own little cube space, so this place is perfect for introverts! Try to focus more on your food than the people around you. To learn more about their ordering system, click here. They have instructions on ordering and eating in each cubby! Even though it was a long wait outside, the service itself is pretty quick. When I sat down, the servers quickly apologized for the long wait saying in Chinese, “不好意思久等了!” After I gave the servers my order form, they brought my warm bowl of ramen out through the little cubby window within 5 minutes and closed the blinds in front of me. To me, the best part about eating at Ichiran is you can choose your own dashi (soup stock) strength, soup richness, amount of garlic and Hiden no Tare (spicy red sauce), and noodle texture. You can also choose to add scallions and chashu (sliced pork). Those who know me know I love ramen shops that provide garlic! I ordered the Tonkatsu Ramen with medium dashi, rich soup, 1 clove of garlic, medium Hiden no Tare, medium noodle texture, with scallions and chashu ($288NT, ~$9.82USD) and a half-boiled salted egg ($38NT, ~$1.30USD). I’m glad I ordered the way I did, because my bowl of ramen was perfect. The soup was not too salty but flavorful, and the texture of the noodles was neither too soft nor too firm. To learn more about their cooking technique, click here. My bowl of ramen: simple presentation yet delicious! Tip: If you want to avoid long queues, I advise you to go on weekdays around 11AM! While you wait, you can also shop nearby at Taipei 101, Shin Kong Mitsukoshi 新光三越, Forever 21, and more! 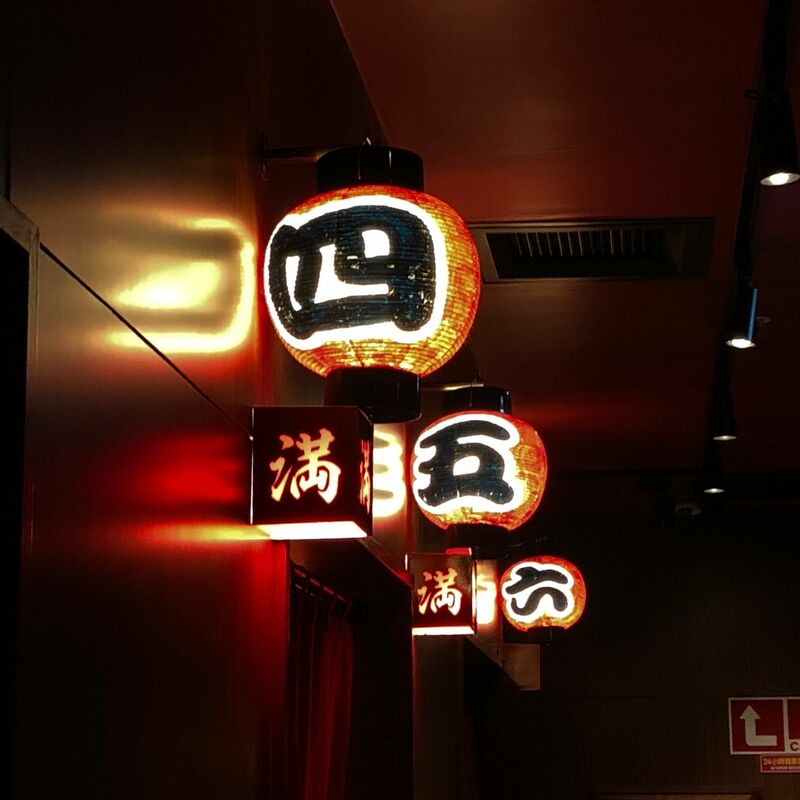 Ichiran will definitely satisfy your ramen cravings!